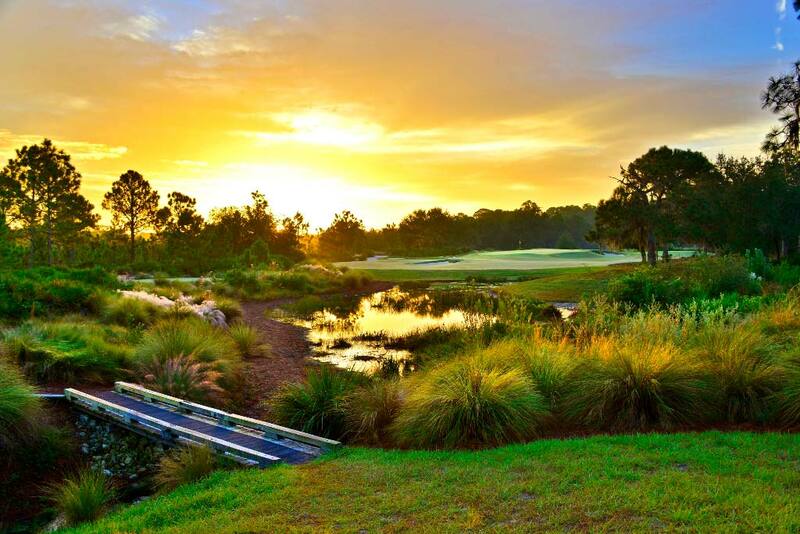 Change permeates the air of the 2015 NCAA Division I Women’s Golf Championships, which begin today in Bradenton, Fla., and will be played through Wednesday at The Concession Golf Club, a Jack Nicklaus Signature Golf Course designed in association with Tony Jacklin. This year, the championships will be decided with a new format and seen via a new television partner. The Golf Channel will provide live coverage of the final three rounds: Monday from 4:00 to 7:00 p.m. ET, Tuesday from 3:30 to 7:00 p.m. ET, and Wednesday from 3:00 to 7:00 p.m. ET. Next week’s Division 1 Men’s Golf Championships will also be played at The Concession. The men’s competition will feature 156 participants and 30 teams from six regional events. There are also six men, one from each event, who qualified as individuals. Both NCAA championship events are being hosted by the University of South Florida. The Concession Golf Club—whose name was inspired by Jack Nicklaus’ act of sportsmanship at the 1969 Ryder Cup, when he conceded a putt to Jacklin on the 18th green of the final match that led to the Ryder Cup’s first-ever tie—was named “Best New Private Course” by Golf Digest shortly after opening for play in 2006. The magazine has also included it in its rankings of America’s Greatest Golf Courses, America’s 75 Toughest Golf Courses, and Best-in-State rankings. In the women’s competition, reigning NCAA champion Duke returns to defend its title, and other perennial Division I contenders are back in the field. The top six teams from the four regionals played May 7-9, plus the top-12 individuals not on an NCAA finals-qualifying team, form the lineup for Friday’s opening round. Those 24 teams and 12 individual competitors will play 54 holes of stroke play. Following Monday’s completion of those four rounds, the top-15 teams plus the top-nine individuals all advance to another day of stroke play on Tuesday. The results of Tuesday’s round will determine the individual 72-hole champion. It also will cull the final 15 teams for Wednesday’s seeded match-play round that will determine the team champion. Sixth-ranked Duke returns seeking a seventh NCAA title and its first back-to-back since winning three consecutive Division I titles from 2005 to 2007 . The Blue Devils beat Atlantic Coast Conference rival and No. 14 Wake Forest by three strokes to win the regional crown in South Bend, Ind. Fifth-ranked Arizona finished fourth. In fact, it was a Blue Devil-themed weekend. Freshman Leona Maguire’s individual title in South Bend marked her second consecutive tournament victory (she has three overall this season). Junior teammate Celine Boutier finished second by one stroke. Boutier, the 2014 Player of the Year and Division I individual runner-up, and sophomore Sandy Choi are the only returning Blue Devils from last season’s championship squad. They’ll be joined in Bradenton by a trio of talented freshmen that includes Leona Maguire, Lisa Maguire and Gurbani Singh. Leona Maguire, currently the top-ranked Division I player in Golfweek’s collegiate rankings, views Duke’s youth as a mostly good thing. One of those expectations should be a challenge from reigning Division I runner-up Southern California, which also arrives in Bradenton as a regional champion. The third-ranked Trojans led all three rounds of the regional in St. George, Utah, with UNLV’s Dana Finkelstein taking the individual victory. USC, the 2013 NCAA champion, seeks its fourth national title and is riding a streak of five consecutive top-five NCAA finishes. Fourth-ranked South Carolina won the Raleigh, North Carolina, regional and advanced to its sixth consecutive NCAA final. The Gamecocks had to fight rallies from Southeastern Conference rivals Alabama (the 2012 NCAA champion) and No. 7 LSU in order to prevail in the final round. LSU’s Madeline Sagstrom won the individual regional title. No. 19 Baylor faced a different script in the San Antonio regional, storming back from a four-stroke deficit to second-round leader Tennessee. The Bears eventually beat second-place and No. 2 UCLA by three strokes while No. 13 Tennessee finished third. Baylor’s Haley Davis led her team’s charge with a 7-under 65, which was good enough to secure low-medalist honors. Top-ranked Washington finished fifth in San Antonio, thus will appear in Bradenton. For ticket information on either NCAA championship, visit ncaa.com/tickets or ticketmaster.com, or call Ticketmaster at 1-800-745-3000.